Articulated male torso on adjustable height stand. 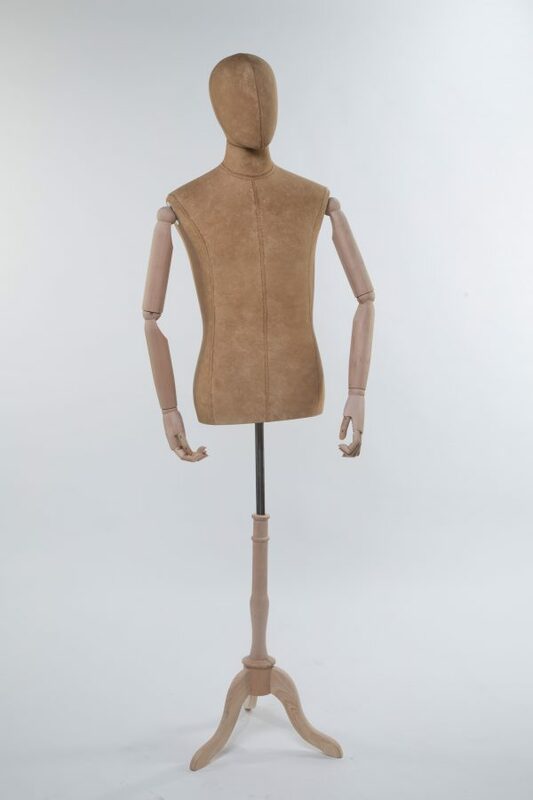 Tan vintage fabric with natural wood arms and tri-leg base. Arms detach for ease of dressing.